After almost 30 hearings and 210 days in a Myanmar prison, the hope of release for the two journalists Wa Lone and Kyaw Saw Oo disappeared Monday, 9 July in court when the judge decided to charge them under the ‘Official Secrets Act’ for possessing secret state documents. Journalist Wa Lone and Kyaw Soe Oo were invited to a restaurant by the police back in December 2017. The police handed them documents supposedly related to the crisis in Rakhine. Shortly hereafter the two journalists were arrested, accused of possessing secret state documents. At the time of their arrest the journalists were investigating stories related to the Rakhine conflict, that escalated in August 2017 and which led to a mass exodus of 700,000 Rohingya Muslims across the border to Bangladesh. Monday’s court decision is a setback for freedom of expression in Myanmar. “This case is a strong signal from the authorities to journalists and to media across Myanmar: If you investigate the conflict in Rakhine, we will arrest you. Journalists within Myanmar are again being restricted in their reporting and various degrees of self-censorship is the consequence,” explains Emilie Lehmann-Jacobsen, Asia Programme Development Advisor in International Media Support. Following that December day in the restaurant with the police, the court has undergone an extensive investigation into their case, which yesterday resulted in a negative outcome for the two journalists, their families, and freedom of expression in the country. The decision to charge the journalists came in spite of the testimony from a police officer who appeared in court as a witness, testifying that the two journalists had been ‘trapped’ and set up by the police. The police officer who testified in court now serves one year in prison for violating ‘police discipline’. The case will now enter a trial phase, during which defense lawyers will summon witnesses before the judge, who will then deliver a verdict. When asking the military and the government about the case both have responded that it is up to the court to decide the outcome, leaving little support to the greater cause of freedom of expression in the country. “No one can prove how the journalists took the secret papers nor how the documents breach national security and national interest. 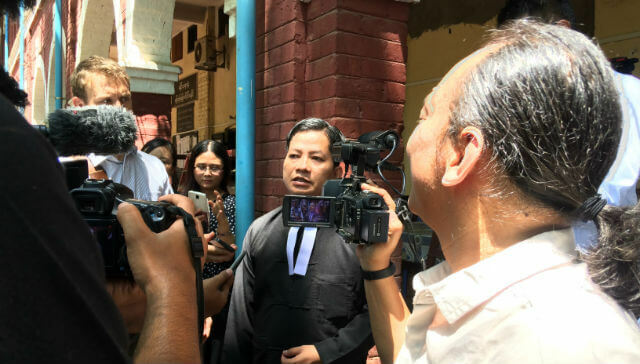 There is cause to be concerned regarding the Myanmar rule of law, as the court cannot prove that the journalists have committed a crime,” explains defense lawyer Than Zaw Aung following the court decision on Monday, 9 July. The “Official Secrets Act’ is a British colonial-era law historically used against government officials and one which remains despite progress in other areas of the law following the end of the military regime in 2011. “Misusing the law to target journalists does not adhere to international standards. This case is an example of abuse of legal procedure to target investigative journalists and limits the media’s ability to report on issues related to Rakhine. Unfortunately it will hinder the truth to be told,” continues Emilie Lehmann-Jacobsen. 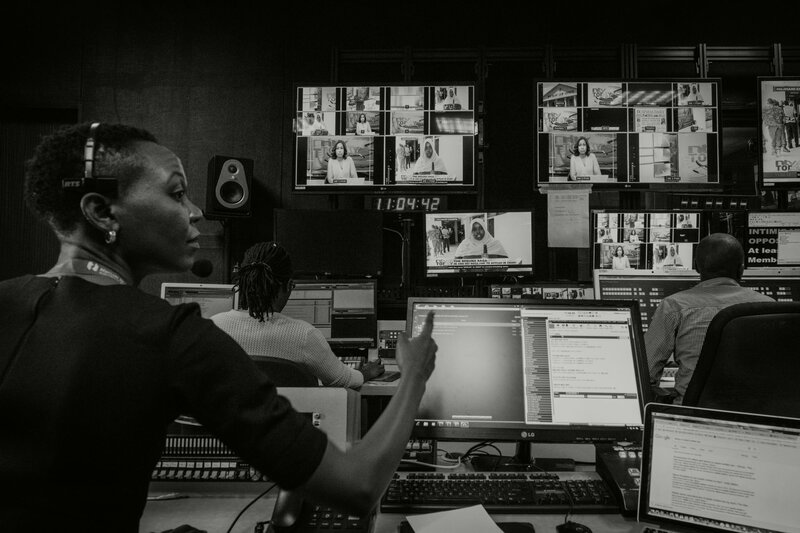 This type of long and ongoing trial and misuse of existing laws to target journalists were common practice during the military regime – and used as a means to threaten media, journalists and activists. Although Myanmar has worked to transition towards a democracy, the military still holds considerable amount of power and old practices remain to the detriment of progress. IMS-Fojo have worked in Myanmar since 2011. As part of our work we support the advancement of the country’s first Right to Information legislation. The right to information (RTI) law is designed to clearly outline which government information journalists can and cannot access. As a result, journalists will have more clarity on what is deemed a secret and what is not. If RTI is passed it provides a legal basis to ask for information, whereas now, in theory, all information is out of reach. This is a clear obstacle in the work to maintain the hard-won gains that have already been made in the area of press freedom.